Canine Cuisine at its Finest! 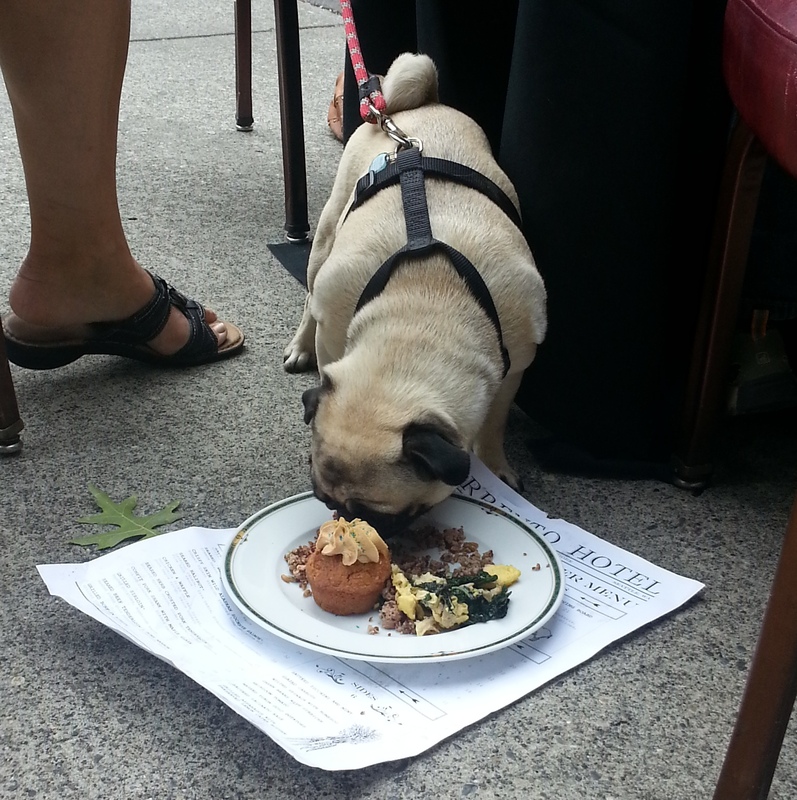 I believe the measure of a truly dog-friendly city is how many places you can have brunch with your dog. Based on this scale, Seattle unfortunately falls quite short. It’s even hard to find outdoor cafes where you can take them. I mean flies can land in my food, but my dog can’t sit on the ground? This is why I was tickled pink that the lovely crew at the equally lovely (and pet-friendly) Sorrento Hotel hosted a Bow Wow Brunch benefiting the Seattle Humane Society. For this stellar event Chef Dan Gilmore of Sorrento’s Hunt Club restaurant created a menu just for the pups which featured a Wild Salmon and Sweet Potato Hash entrée, a Lamb and Quinoa entrée, as well as Doggie Pastries and Egg and Avocado Salads to start. 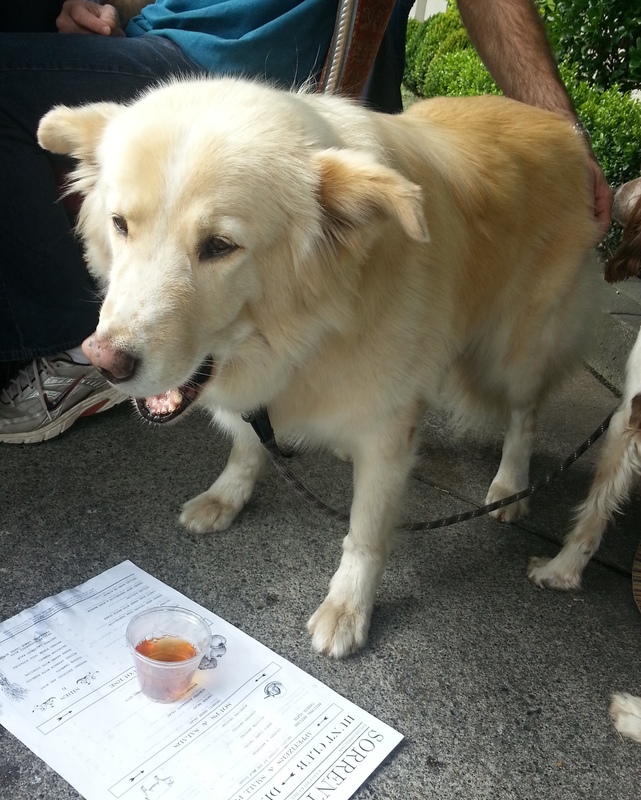 Lucky dogs also got a chance to sample Bowser Beer (a non-alcoholic puppy beverage made from beef and chicken broth and chock full of B-vitamins and Glucosamine – heck it’s probably better than whatever I’ve been drinking). Live music was provided by local band, Shaggy Sweet. 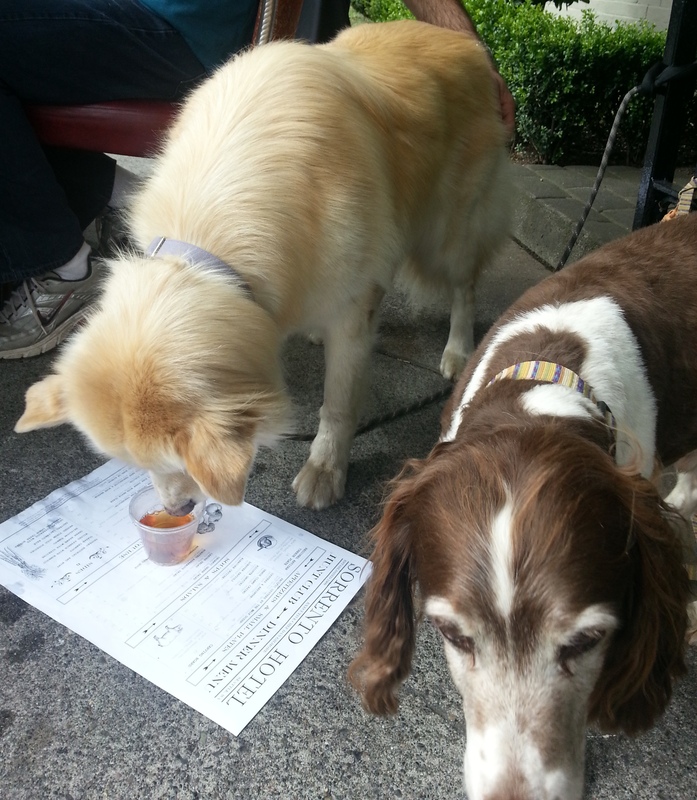 All proceeds from the Bow Wow Menu were donated to the Seattle Humane Society, which offers a variety of programs throughout King County including adoptions, veterinary services, dog training classes, a pet food bank, and humane education for children of all ages. 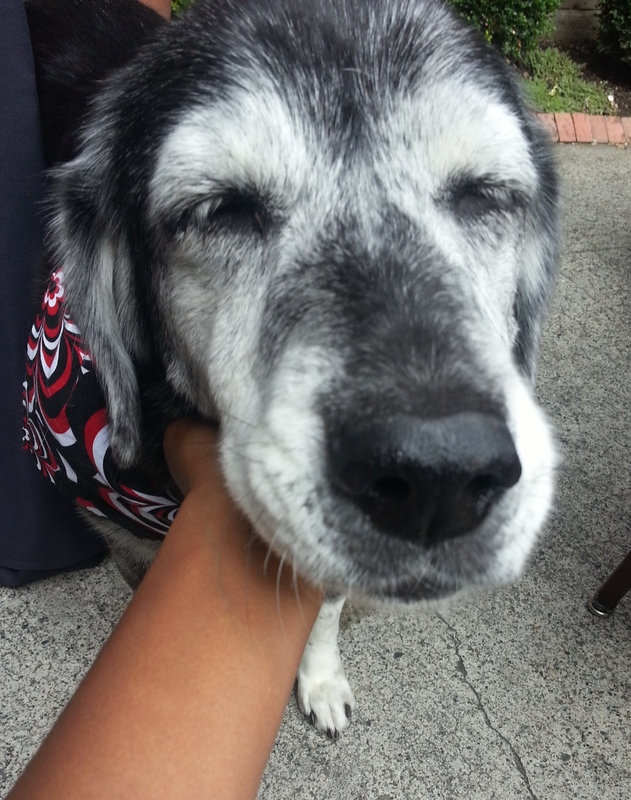 Check out Seattle Humane Society’s events calandar to find out how you can get involved in upcoming fundraisers, adoption drives, and other fun events. 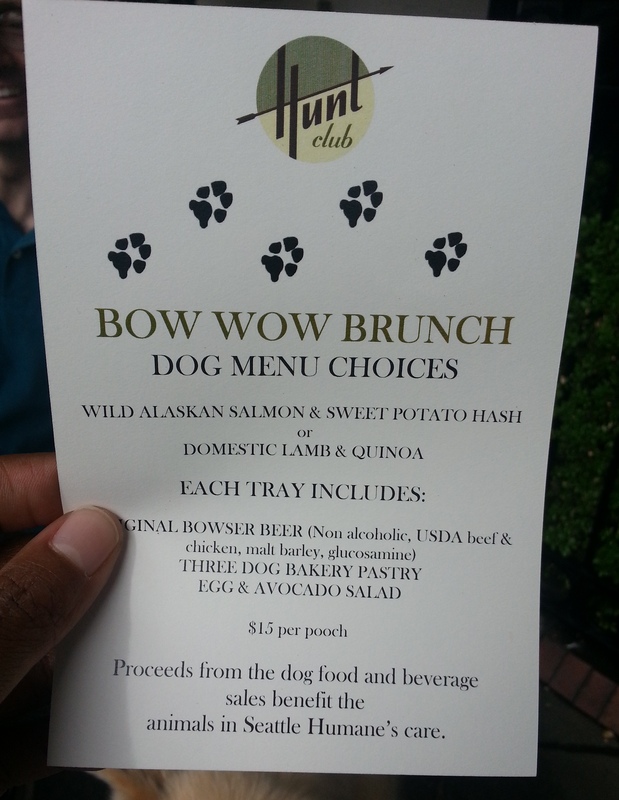 Until then, here are some photos of the fabulousness at Bow Wow Brunch Seattle…. Bridgette Giving the Best Cuddle Face!